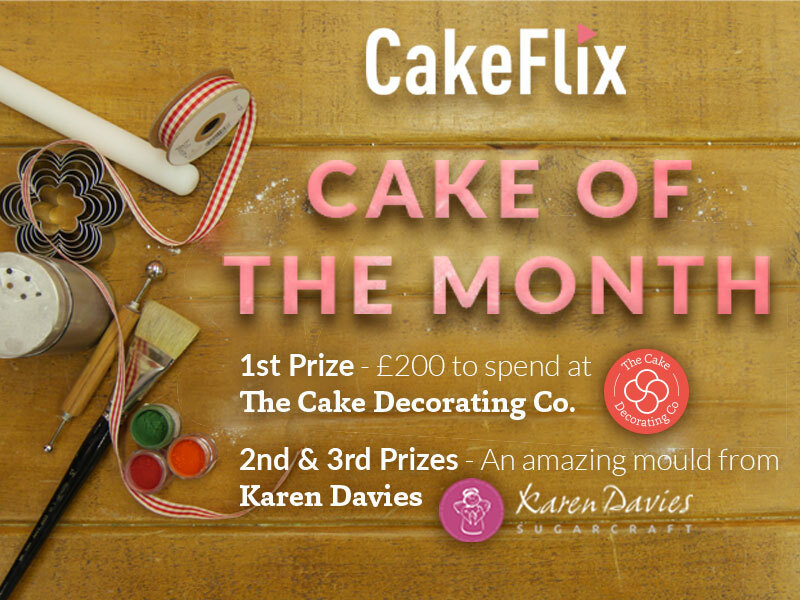 Cake of the Month is a monthly competition where members of the CakeFlix community compete for a whole host of incredible prizes from our generous sponsors The Cake Decorating Company and Karen Davies Sugarcraft. Members submit their best work over the month, where entries are then judged by the lovely Paul Bradford (he told me to write that) with different prizes awarded for 1st, 2nd and 3rd place. 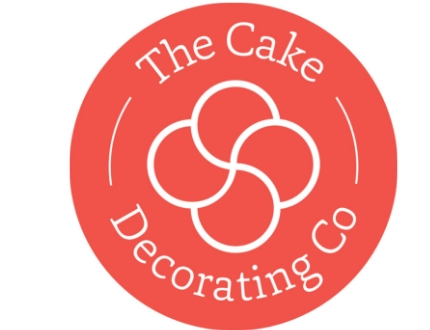 1st place - £200 to spend at the Cake Decorating Co.
Now it's time to take a look at this month's entries! 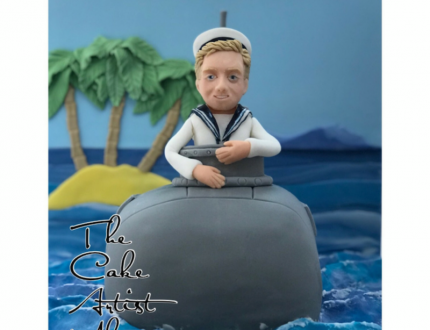 Ruth Wallace was commissioned to make this cake for a 90th birthday. The gentleman was in the navy in his youth, so she took inspiration from Paul’s Camper Van tutorial and changed it to a submarine. 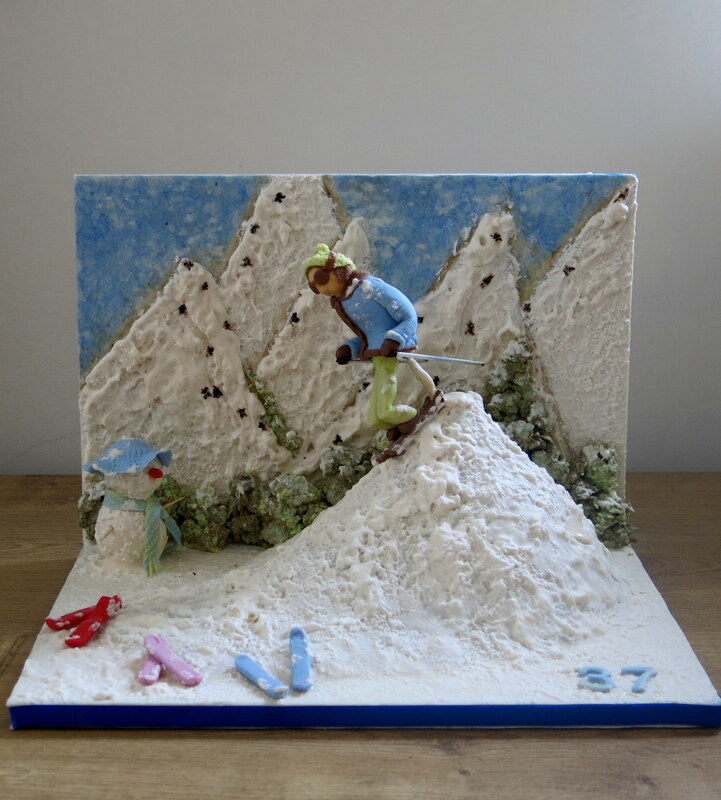 Francine Kottler Elfassy created this ski scene for her son’s birthday, a neglected hobby since the little ones were born. 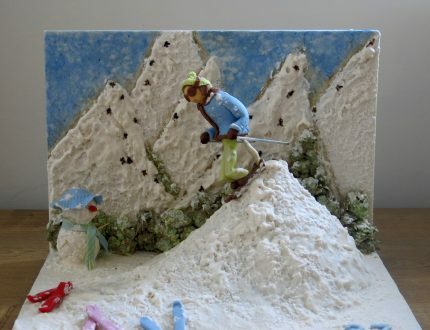 The backboard was inspired by a Paul Bradford snowboard cake. The 'cake' itself is actually a dummy made using a simple bread recipe since her son’s family doesn’t eat cake 🙁 and the snow is made using royal icing. 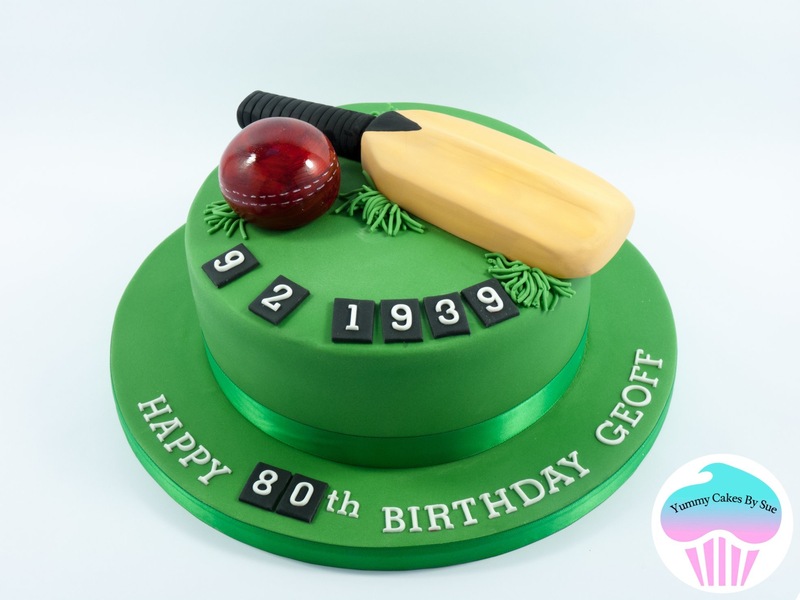 Sue Pinnick made this for a Welsh lady who had no idea what to put on her Dad's 80th Birthday cake. She mentioned that he had always been interested in cricket, which Sue took inspiration from. The lady gave Sue a great 5* Review saying not only did it look great but that it tasted fabulous too. Cheryl Fitzimmons is a self-taught cake maker who has been making cakes for 7 years. 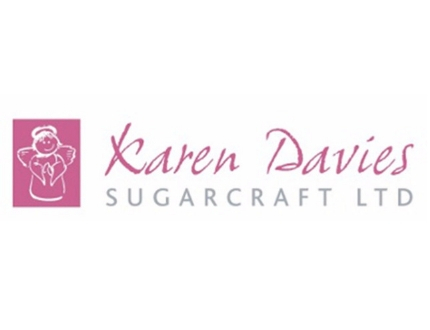 Next month she moves her cake business into her first shop due to popular demand. 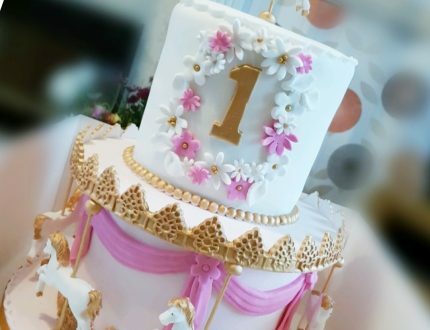 It's not hard to see why with this fantastic carousel cake. 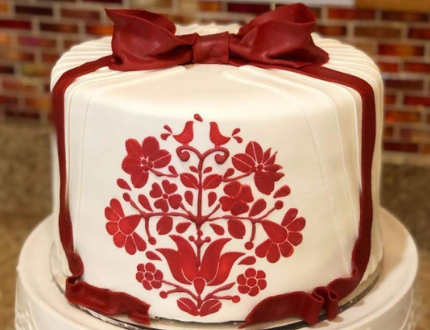 After feeling fearful of stencilling with royal icing, Sally Keszey used Paul's Damask stencilling tutorial a few times to get used to the technique before creating her own stencil based on a Hungarian motif she liked as demonstrated on the cake above! 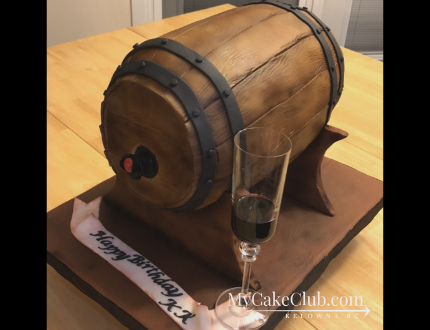 After watching Paul's Oktoberfest Beer Barrel Emi Koulev made this for her son's 25th birthday. Emi added her own interpretations to the design using RKT for the base instead of styrofoam cake dummies and instead of beer she used a bag of wine for her tipple of choice. 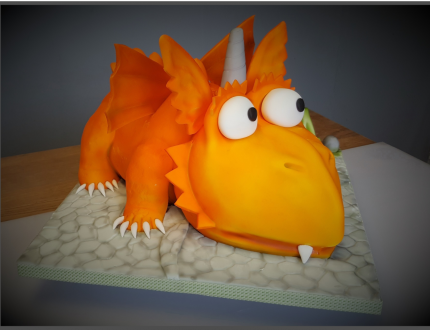 Lindsey Lawson made this cake for a little boy's 4th birthday who is a big ZOG fan. Lindsey said the cake was made using a combination of skills learnt from watching different tutorials which gave her the confidence to do it! 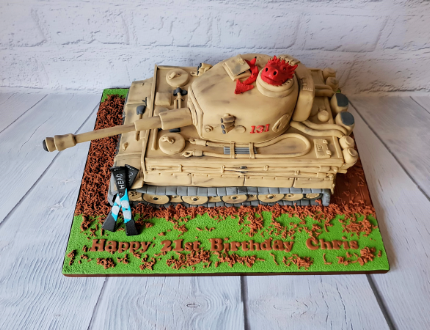 Jill Boucher created this fantastic cake for someone who loves his WW2 history & tanks. Jill used Paul's Tank tutorial to recreate a replica of Tiger 131 tank which is his favourite model. The person the cake was made for is also a huge fan of Dungeons & Dragons game (hence the dragon in the tank )for which Jill used part of Naughty Dragon tutorial by Rhianydd Webb. Carol Bradley created this speedy number after watching Paul's tutorial. 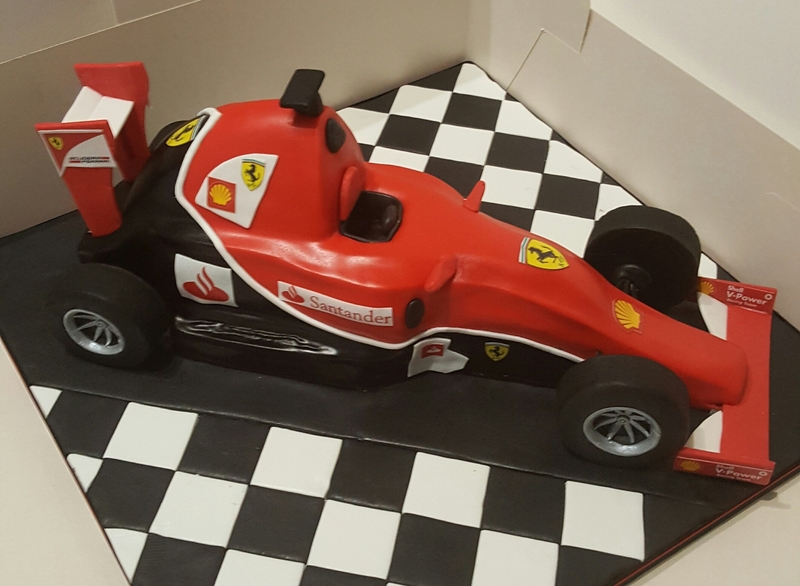 Carol decided it was the perfect cake for her son who loves fast cars and Formula 1. 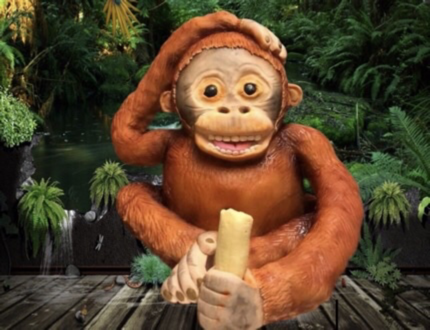 Wendy Hewkin made this cheeky little guy using our orangutan tutorial. We love the setting nearly as much as we love the cake! 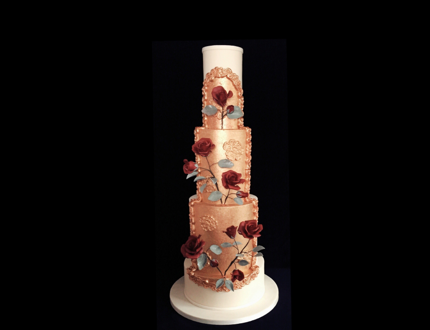 Wendy Jordan created this simply mesmerising wedding cake, complete with beautiful colours, sugar roses and intricate design. 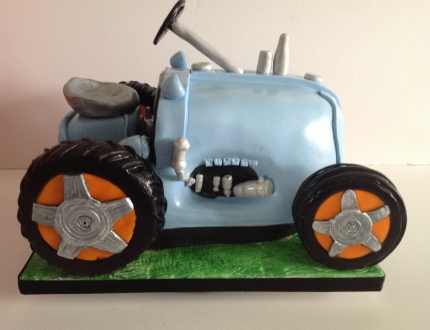 Viv Green recently created this vintage tractor cake, perfect for any sweet tooth farmers you may know, you can try and make your own tractor cake using our tractor cake tutorial. 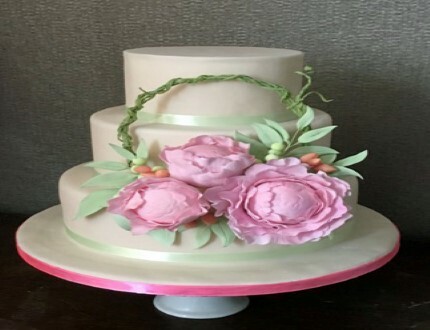 Sarah Titch made this beauty attempt using Natalie Porter's Peony hoop cake tutorial with a variety of different materials from her store room. 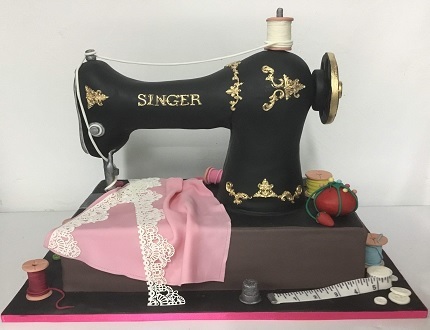 Valerie Latham was inspired to make a cake with a structure inside from all the CakeFlix tutorials she had watched and decided to make a sugarcraft cake for another craft ....sewing! The recipient of the cake was so impressed she actually refused to cut it! 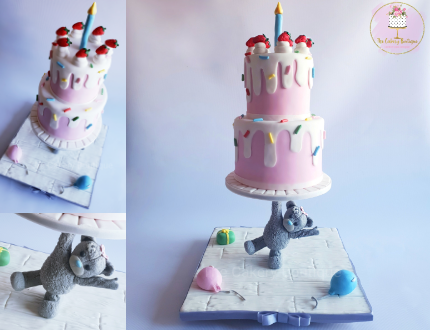 Hajir Karimi made her 6-year-old daughter who simply loves 'Me to you Bears' this fantastic cake for her birthday this year. Hajir wanted to make something that was totally out of her comfort zone. And after watching some gravity cake tutorials on CakeFlix decided to give this a go! 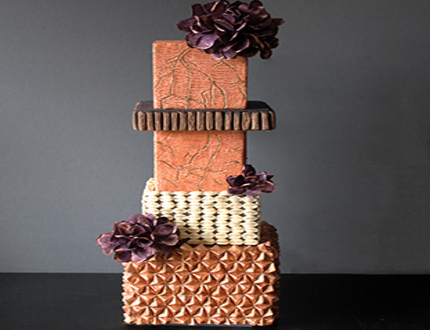 June Richardson was inspired by Lucia Simeone's design on CakeFlix. June used Lucia's silhouette, as well as her method of painting wafer paper flowers to help make this stunning design which she used to incorporate her Asian and African influences onto the design. 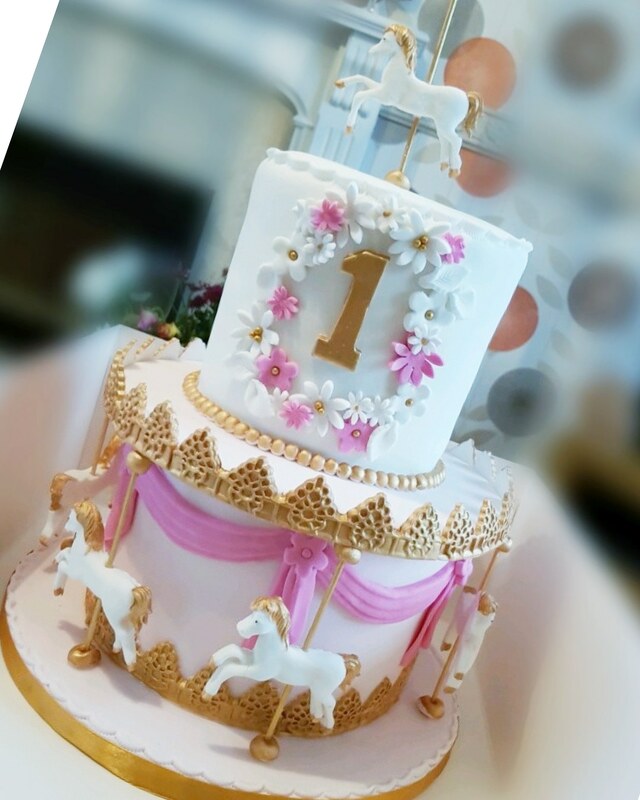 Yen Yee Thomson made her very first tall cake for a little girls 1st birthday party. Yee Yee took inspiration from Paul's Hot Air Balloon tutorial but as you can see really used her imagination when interpreting the design! Congratulations Yee Yee and enjoy your prize! Congratulations to this months winners, runners up and all entrants. 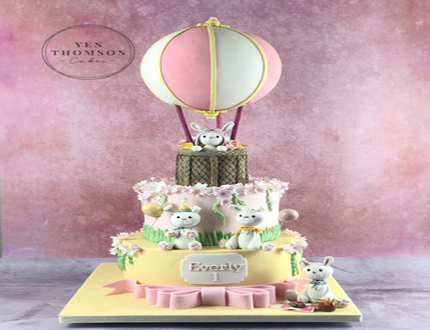 Your work will be visible on our Cake of the Month carousel throughout April. 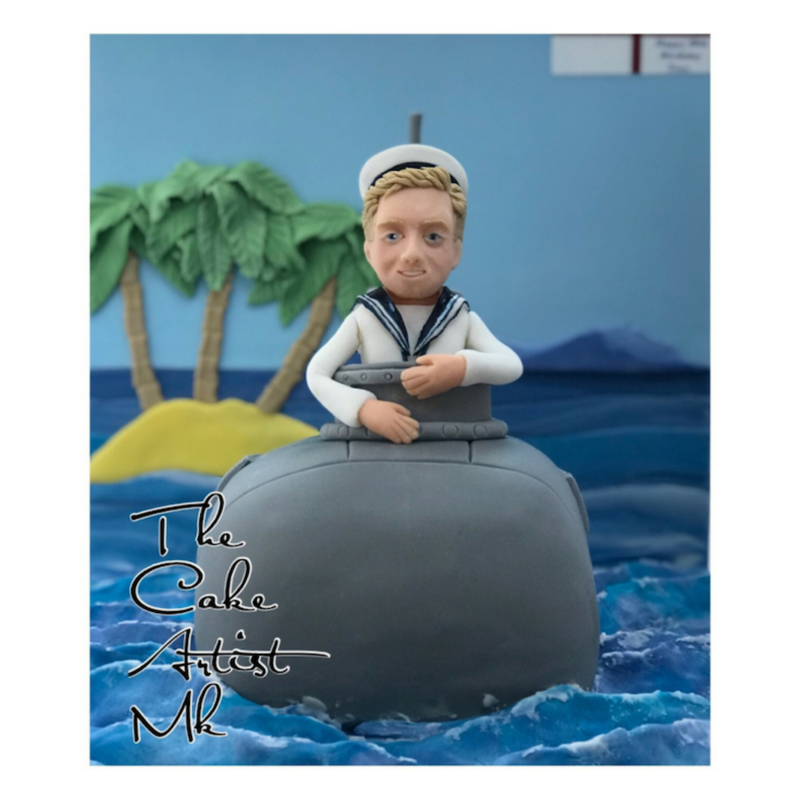 To enter next month's competition for the chance to win some more incredible prizes submit your cakes using our Cake of the Month entry form today and let us know what your favourite cakes were in the comments section below!